Digital transformation involves a war between old-school technophobe leaders and the technology innovation that represents a completely different way of doing business. 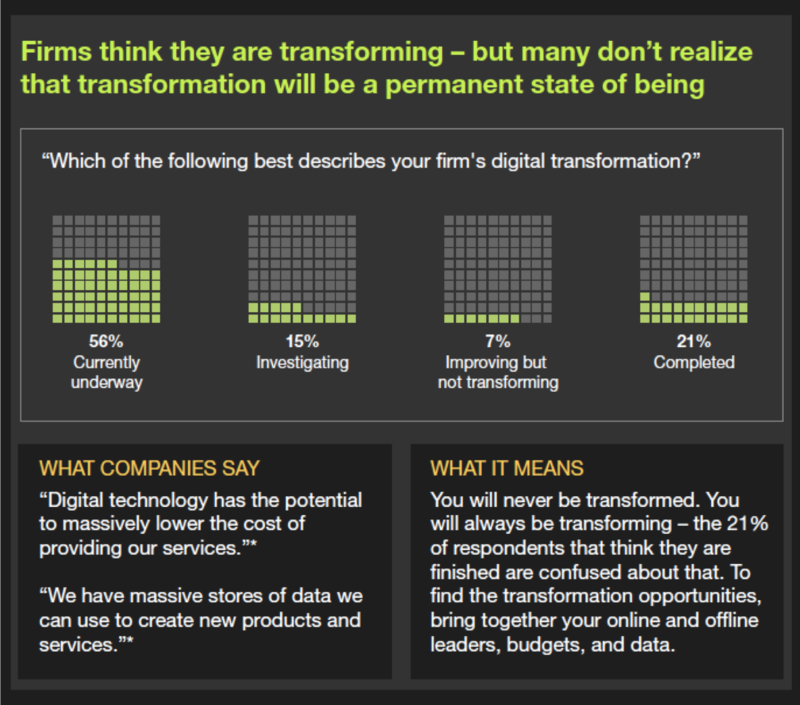 Forrester Research explains the ongoing challenges. Software eats the world, right? We’ve been saying that for how long now? (1997 in my case, I think.) And we’re still transforming? Yep. That it’s taking so long is just an indication of just how hard it is for companies to change how they operate. But hard does not equal impossible, and we think companies could exert a little more willpower using technology to do a better job for customers. Ted Schadler is VP and principal analyst at Forrester Research. Read more Forrester blogs here.